"On February 22, 2005 my daughter died within me and I died as well. This is the story of my resurrection." The Jesus of My Grief is the story of a grieving and faith conflicted mother who rediscovers the love of a sovereign God through intimate encounters with Jesus. By coming desperately and honestly before Him, Kate is awakened to healing, hope and new purpose for living. Her vulnerability will validate and encourage those who have endured the loss of a child and also inspire any who suffer, to trust the God of infinite love and redemption. "After a tragedy you often hear, 'Where was God?' 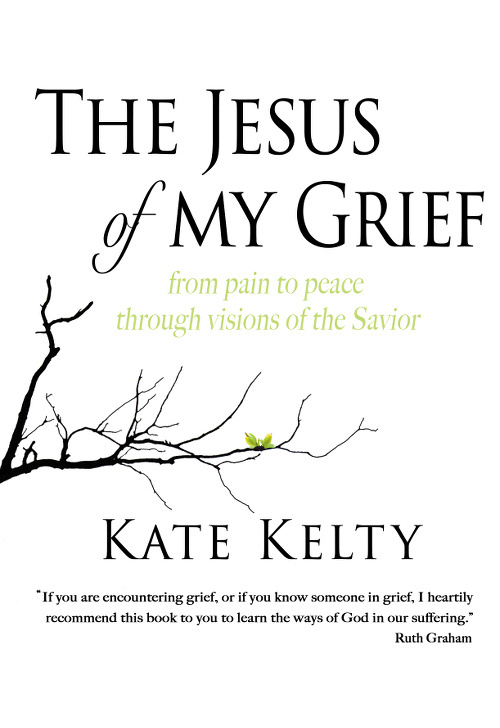 In this moving account of a heart- wrenching tragedy, Kate lets us walk with her as she encounters Jesus in her grief. Kate tenderly illustrates that He does come into our darkest moments to reveal Himself as comforter, refuge, companion and guide. If you are encountering grief or if you know someone in grief, I heartily recommend this book to you to learn the ways of God in our suffering"